Portrait Coffee Table Books are a popular way for our clients to showcase all of their favorite photographs from a session. 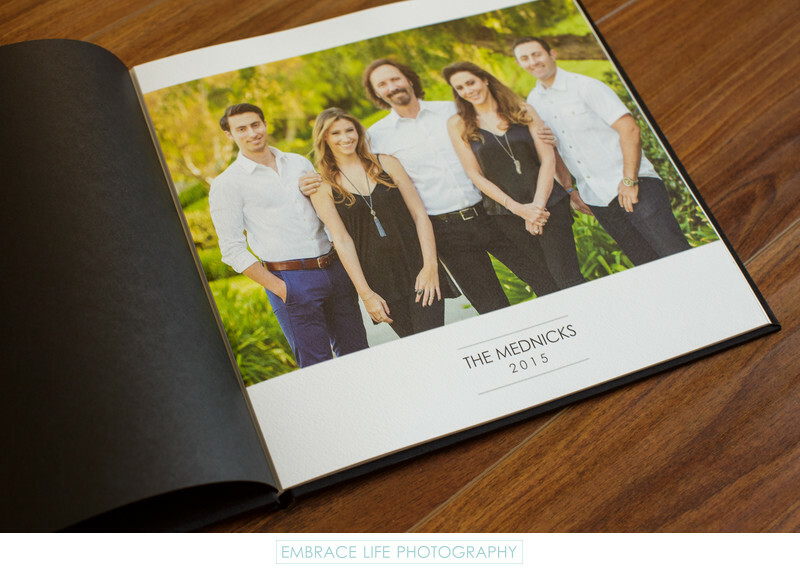 We custom design each one, and they're printed on beautiful, layflat papers, This repeat Calabasas portrait photography client has several books from our shoots over the years. This one features a sleek, black silk cover, complimenting the family's black clothing in their family portrait photographs.